"We strive to deliver the right product, on time, and in excellent condition"
Many of you will be familiar with the friendly face of Gary who handles all deliveries in the Dublin region. 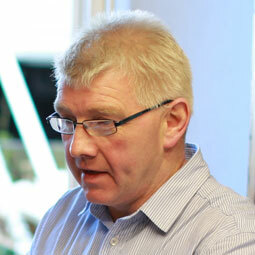 Gary joined Bio-Sciences in 2004 after many years as Transport Manager for a well-known Dublin freight company. He is responsible for all aspects of our logistics from goods inwards, in-house and off-site storage, packing and distribution.